Find the right Bricklayer Quotes for you. If you have a budget pay below the average cost for Bricklaying by searching the Nbtrade.com Bricklayer Directory for your area. Let a Professional Bricklayer construct your brickwork. Whether working with clay bricks, concrete blocks or other types of building materials in mortar. Search the Bricklayer Directory for any construction and repairing of veneer or full brick construction, partitions, arches or other structures. Source the most Professional Bricklaying Service from Nbtrade.com.au. With the Bricklaying technology ensure your Brickwork is constructed to the highest standard by experienced Bricklayers. Attention to detail and experienced brickwork can make the world of difference to the finishing product. Nbtrade.com.au Bricklayer Directory provides Listings for a Bricklayer Ballina Region, Bricklayer Lismore region, Bricklayer Murwillumbah Region, Bricklayer Kingscliff region Bricklayer Tweed Heads Region and Nationwide for you to easily search through. All Listed Businesses take great pride in their Bricklaying Jobs. 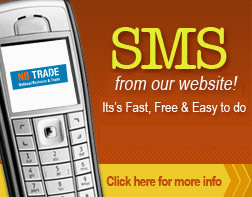 As part of the service Nbtrade.com.au allows you to sufficiently search and then E-mail or SMS the Bricklayer Business of your choice. Don’t be bombarded with misleading advertising, confusing claims and simply bad information. Nbtrade.com.au provides all the information you need. From Contact details to specialties. We make it possible to find a competent professional Bricklayer at a super-low price without and it’s important to source the most professional Bricklaying service with the Latest bricklaying Equipment to ensure your Brickwork is of the highest quality, Look no further then nbtrade.com.au with the best and the most popular in our local area.